Sonic Boom has taken its time to research and custom build their targets. First, Sonic Boom found the best possible raw ingredients available, which provides one of the largest explosions and loudest booms of any exploding target on the market. Then Sonic Boom took it a step further by providing its users with a highly visible blaze orange jar that is visible at virtually any distance. Sonic Boom produces targets with high quality, non-hazardous, non-toxic and stable chemicals. 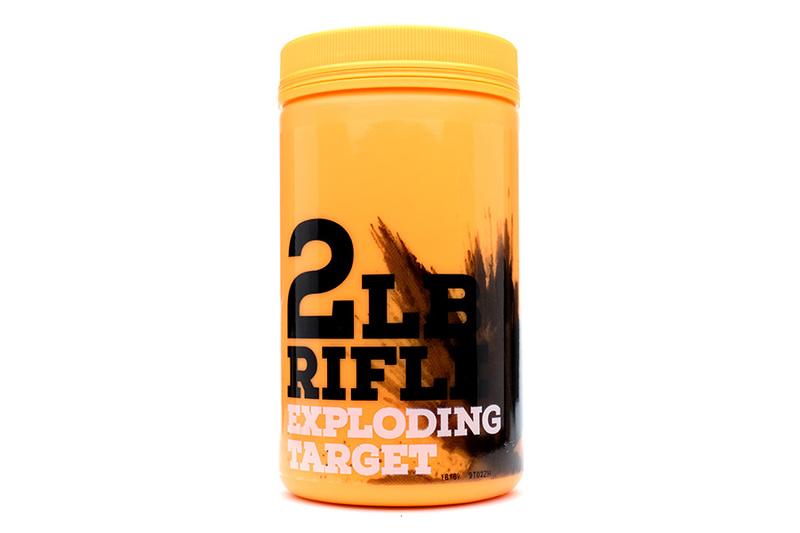 The targets use a two part mixture that are easy to mix and easy to use—simply mix and shoot. To ensure safety, shooters must be at least 100 yards from exploding target. 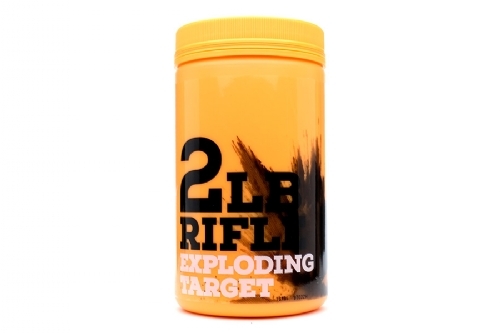 To initiate explosion, rifle target must be struck with a center fire rifle projectile, weighing at least 40 grains and traveling at a minimum of 2200 fps (pistol rounds will not initiate these targets). For best performance, we suggest use of a FMJ (Full Metal Jacket) round.